Maria Sahai discusses how her childhood experiences shaped her appreciation of nature and inspired her love of photographing the breath-taking Norwegian landscapes she now calls home. My mother had a huge influence on me, although not directly. I was born in the Russian Far East, a remote area with very few inhabitants. There are six months of no daylight every year and an occasional polar bear wanders down the streets. When I was a baby we moved to Kazakhstan, but the Russian Arctic never left my mother’s heart. She used to tell me endless stories about vast snowy landscapes and indigenous people, about the whales and seals she could see from her kitchen. I have dreamt of exploring places like that for as long as I can remember; I have longed for the places where few people go and life is simple. During my travels, photography became a natural way of communicating my experiences with the world. 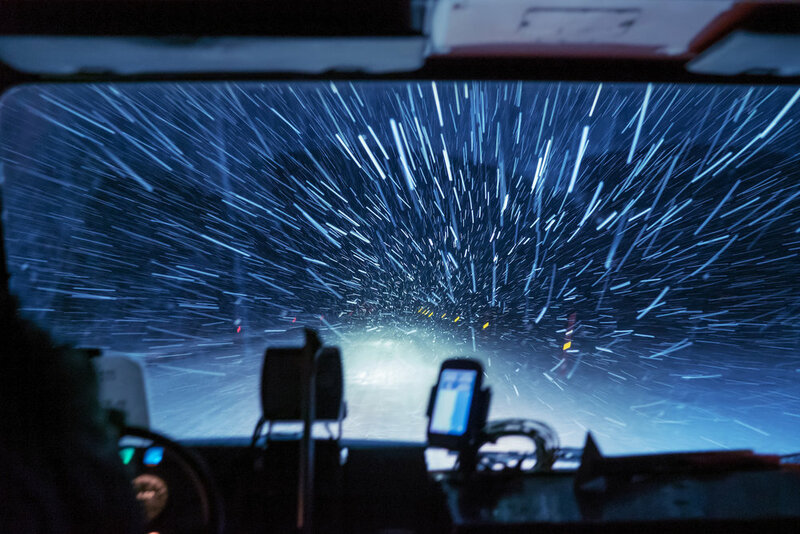 Do you feel that living Norway impacts upon your photography? Being based in Norway, I am fortunate enough to be exposed to amazing nature all the time. But I grew up in a very different environment, in Kazakhstan, a land of steppes and deserts. As I am sort of an outsider living in Norway, this helps me see the landscapes of this amazing country with a fresh eye. I don’t think I will ever get used to the sights Norway has to offer. My photography is a continuous ode to the beauty of our planet, including that of the country I am living in. What type of photography are you most passionate about? I spend most of my time surrounded by nature: hiking glaciers, watching whales, dog sledding or simply walking in a forest. Naturally, that’s what I want to share with others; how amazing it is to forget the hustle of a big city and to go back to basics. The easiest way for me to do that is through landscapes and wildlife photography. To be honest, I left my heart in Greenland a long time ago. The country is unspoiled by mass tourism and the nature there is so pristine and unique. Also, even though I photograph mostly nature, people are so important to me. Greenlandic people are related to the indigenous population of the Russian Arctic, whose legends and culture I grew up with. It makes it easy for me to relate to the locals in Greenland and opens a lot of doors to untouched locations. 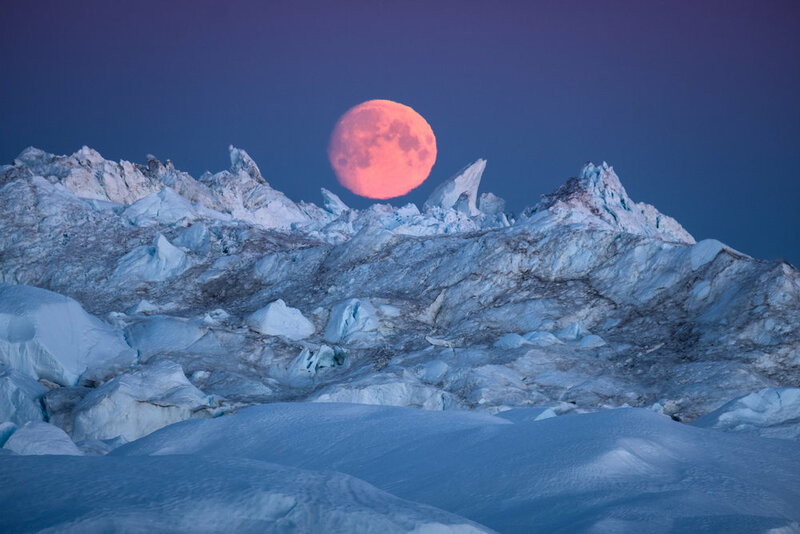 The image of the moon rising over icebergs in Ilulissat Icefjord has a special meaning to me, and has been my most popular photo so far. For me, it encapsulates what Greenland in summertime means to me. It is surreal and otherworldly; it’s icebergs are breath-taking. The sun doesn’t set in summer, so the light is unique; lightly touching the horizon as it paints the landscape bright shades of pink and purple. My aim is to make people curious about my images, to ask: “where is that, why is that like that, how do I get there?” I organise Photography Tours to places like Greenland, Svalbard, Iceland and Norway. These locations are still not well known to the general public. Every time I share an image on social media, I tell the story behind it. I try to inspire people to go and Google more about the subject of the image, and hopefully the decide to plan a trip there. I am a loyal Fujifilm user. I used to shoot with a Canon, but the weight of the gear was slowing me down a lot. When hiking glaciers or travelling by dog sleds close to the North Pole, the weight of my backpack really matters. I believe that the best gear is the one that doesn’t stand in your way. I don’t want to spend my energy on settings and technicalities; Fujifilm gear makes the process smooth and easy so that I can direct all my attention to the nature around me. In Spring, I am going to Siberia, Russia, in order to photograph Baikal, the largest freshwater lake in the world while it is still frozen. I am very excited to walk on the clear ice, hear it cracking beneath my feet and photograph this unique place. Our first printed volume of Rucksack Magazine is winter themed. What is your favourite season to photograph? Looking at my work you’ll notice that the dominant colour is blue; either it is giant icebergs, snowy landscapes or frozen ice lagoons. I feel most creative in Winter. Even during summertime, I prefer going to Greenland and Svalbard where it doesn’t get warmer than 15 degrees. One of the first ‘big’ photographers that caught my attention was Steve McCurry. I think it’s the locations that took my breath away. I remember looking at his images and thinking ‘I don’t care what it takes, I’ll spend my life travelling and exploring this world. There is so much to see, I’ll never forgive myself if I get stuck in one place.’ I guess, the Photography Tours that I organise with my husband Karim Sahai is a result of that changing moment. I would say that technicalities and cameras don’t matter. I firmly believe that with the right mind set you can take the best pictures with an old camera phone. No amount of expensive DSLR will ever make you a great photographer if all you focus on is gear and the technical aspects of photography. Look at beautiful pictures, listen to great music and enjoy yourself. Take photographs because it makes you happy. This is what people will see and feel in your images. View more of Maria Sahai's work by visiting her website here.